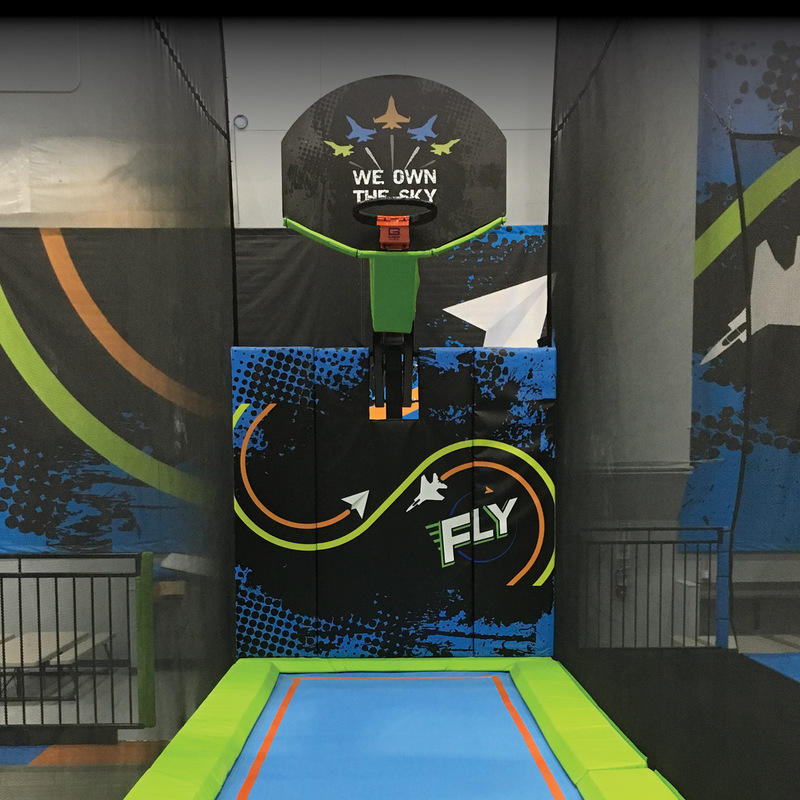 Take off into the sky at Fairbanks’ 24,000 square foot trampoline adventure complex filled with interconnected padded trampolines. 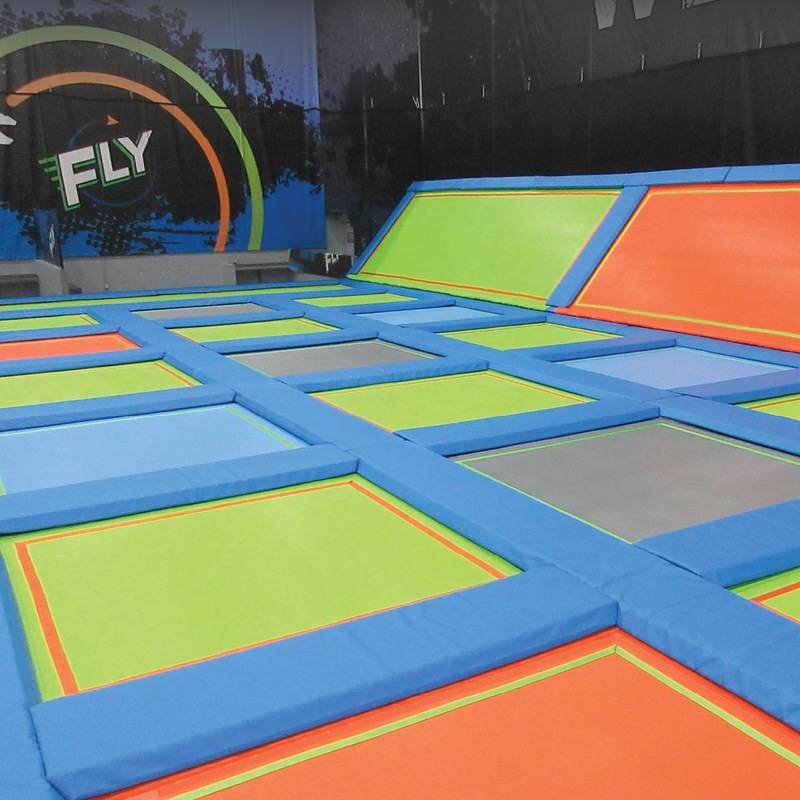 Our ground crew is on duty at all times to ensure safety for all jumpers! 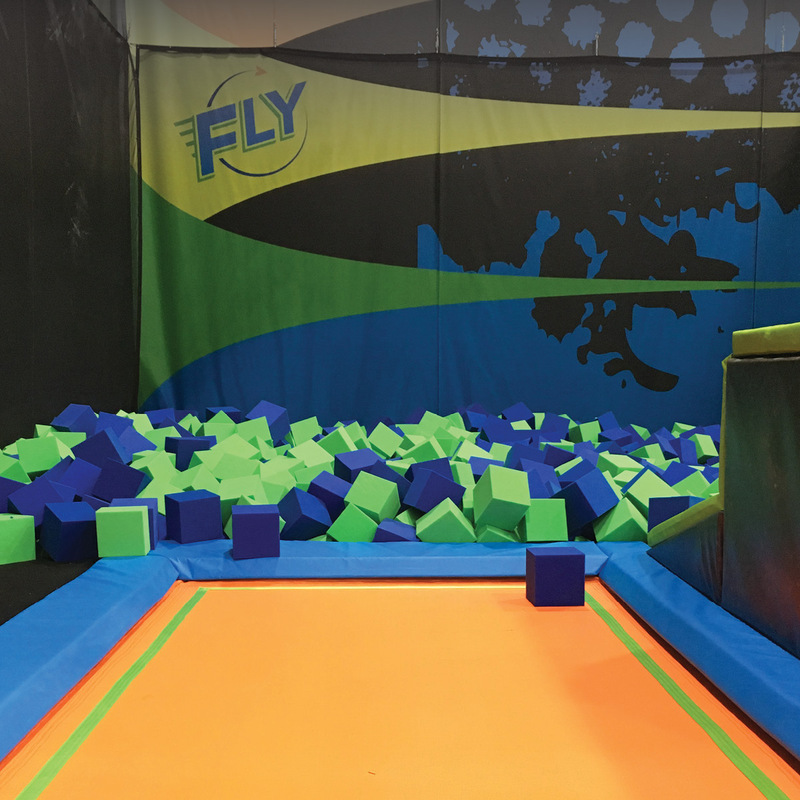 Take a flying leap through the air into a pit of soft foam cubes. 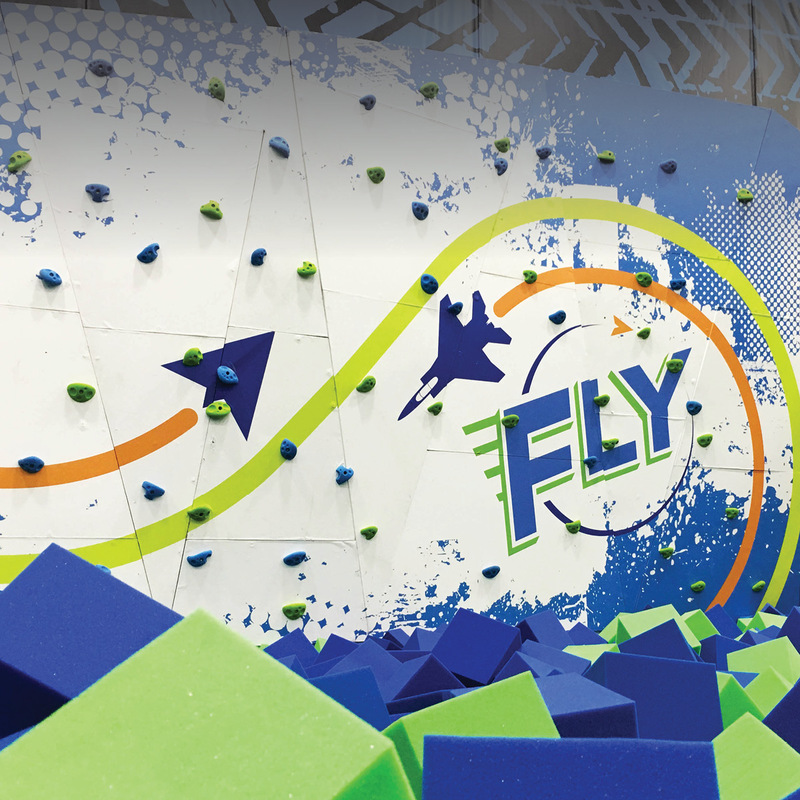 With a spring board to launch from, soar high and land smoothly. 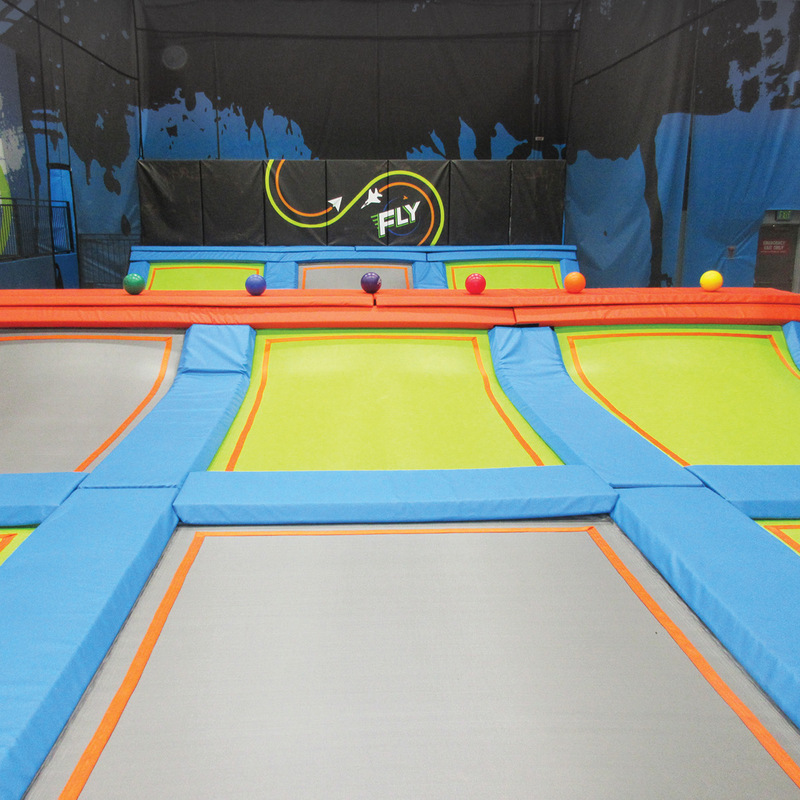 Refuel your jumpers at the café. 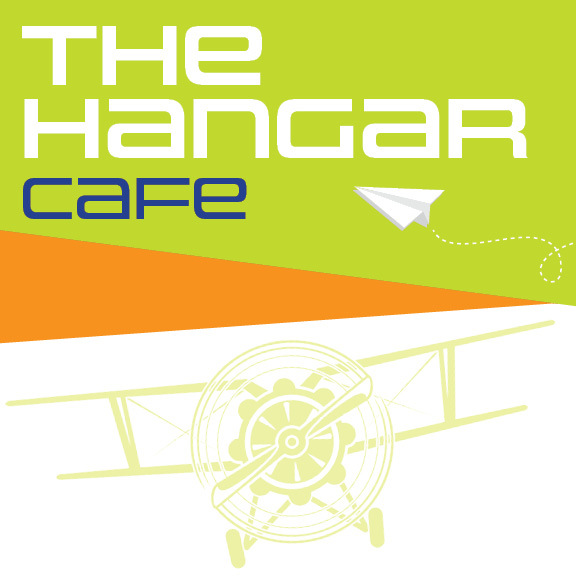 The café is fully loaded with pizza, wraps, soft drinks, snacks and more. 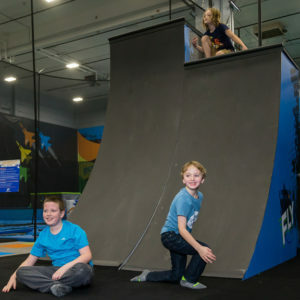 Practice your climbing skills on the bouldering wall! Duck, dodge, and out jump your opponents! 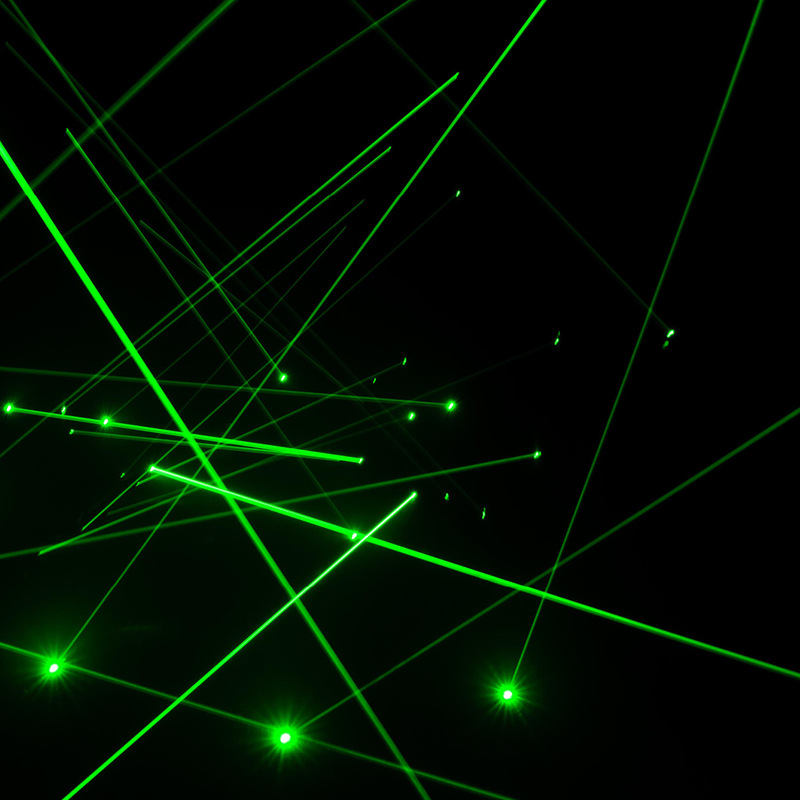 A sweeper bar will attempt to knock players off their feet and the goal is to be the last person standing. Watch out! 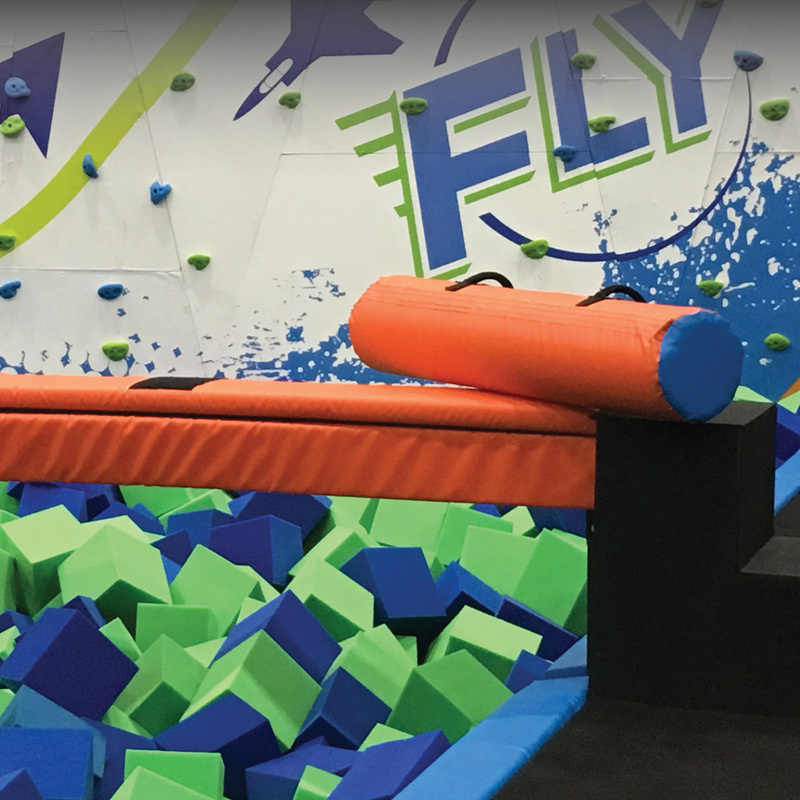 Our custom built Ninja Course is two stories high and features a sea of disks, tube steps, monkey swings, a spider wall and more! 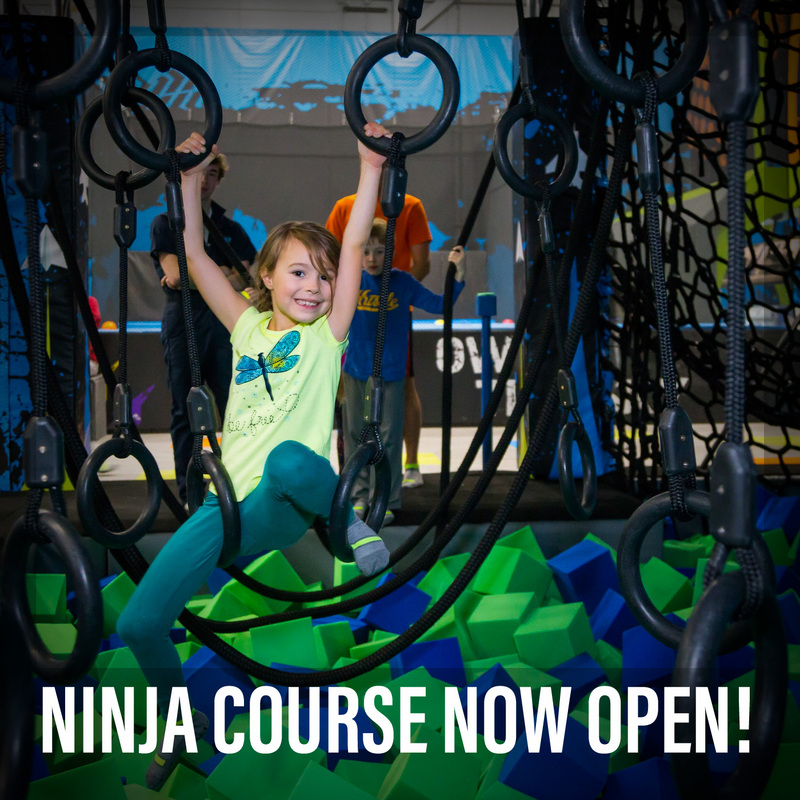 Put your skills to the test and conquer the only Ninja course in Fairbanks, Alaska! 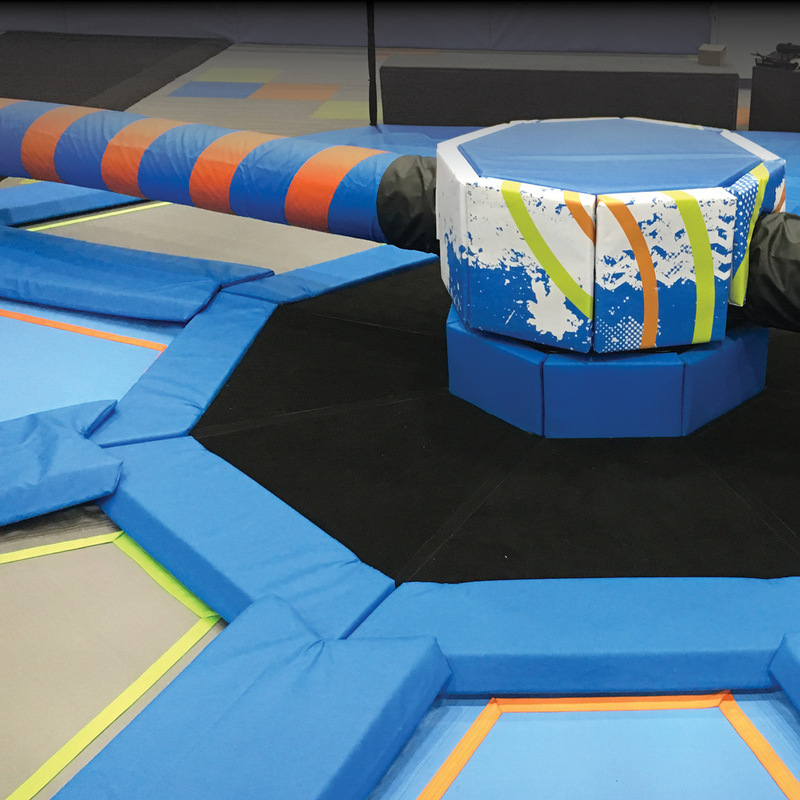 Compete against others and track your time with RFID technology. 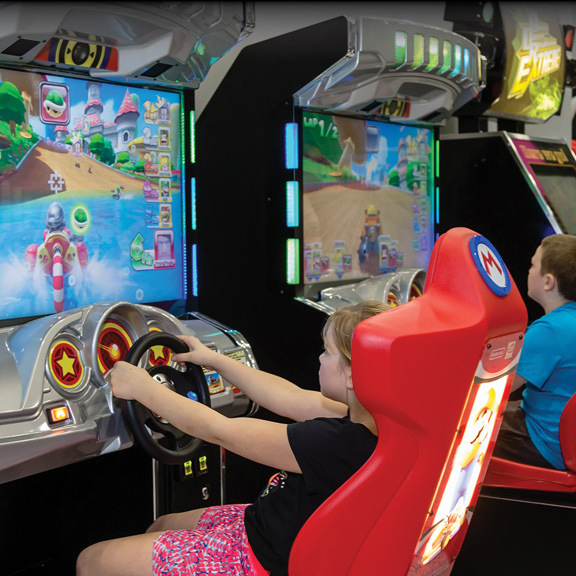 If you need a break from jumping, choose from a variety of arcade games including Big Buck, Mario Kart, Miss Pacman, Galactica, Dance Dance Revolution & more!